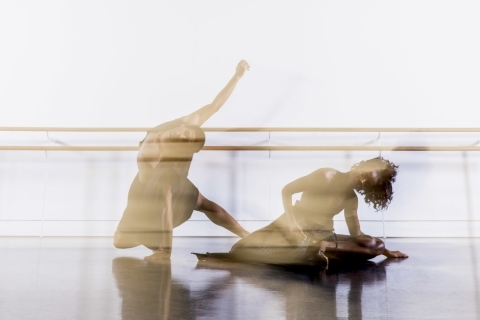 Rambert Dance Company has announced the formation of Rambert2, a new wing of the company designed to develop and showcase the next generation of dancers. Rambert2 will tour the UK in autumn 2018 with a triple bill of works. Alongside revivals of Rafael Bonachela’s E2 7SD and Sharon Eyal’s Killer Pig, Rambert2 will create a new piece by former Alvin Ailey dancer and Cedar Lake Contemporary Ballet artistic director Benoit-Swan Pouffer. Rambert2 will be the first junior ensemble attached to a UK repertory company, something practised with great success by companies in other countries, including Alvin Ailey American Dance Theater and Nederlands Dans Theater. It is also the first programme in the world to integrate professional experience at the highest level with postgraduate study. Each dancer will receive financial support equivalent to the London Living Wage and be based at Rambert’s home on London’s south bank. Rambert2 dancers will complete a 12-month programme with four strands: training, performing, academic study, and outreach activity including schools’ workshops and community events. For schools, Rambert2 will remount Kamuyot, Ohad Naharin’s work for non-theatre spaces and teenage audiences. Rambert2 will perform on the Sadler’s Wells mainstage in London in November 2018, and tour to 15 venues throughout the UK including MAC, Belfast; Cast, Doncaster; Exeter Northcott Theatre; G Live, Guildford; artsdepot, London; Sadler’s Wells, London; Theatr Clwyd, Mold; Norwich Playhouse; The Lighthouse, Poole; and Theatre Royal Winchester. During their year, dancers will complete a new postgraduate qualification, MA in Professional Dance Performance, awarded by Rambert School.